Having a tattoo is one of the ways we can express ourselves. Choosing the best one is always a hard decision, though. 3D tattoo designs look much more realistic than traditional tattoo designs and more and more people get 3D tattoo designs nowadays. 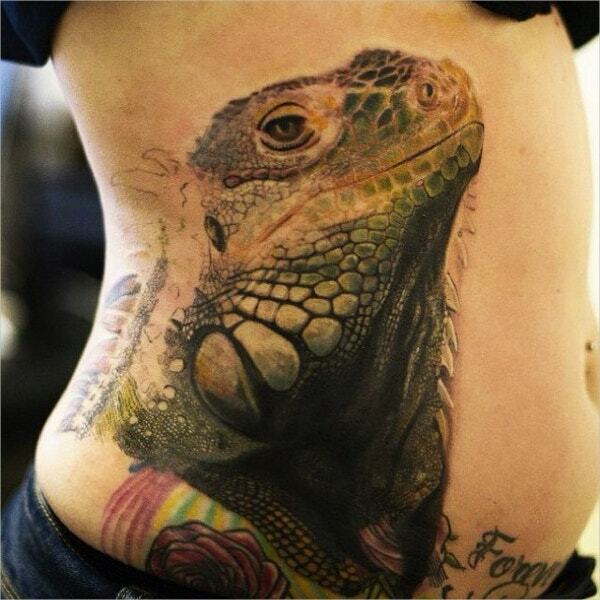 With 3D tattoos, the talent of the artist who did the tattoo can easily be showcased. 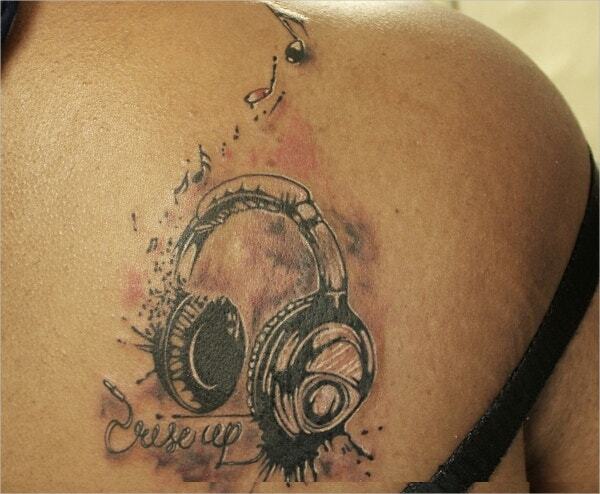 You can also be sure to make some heads turn with your awesome tattoo. You can also see 3D Art Tattoo. 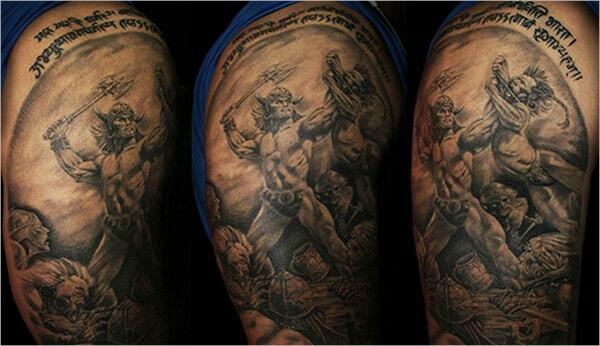 Darek Suchan’s tattoo concepts range from ancient symbols to more detailed tattoo designs. 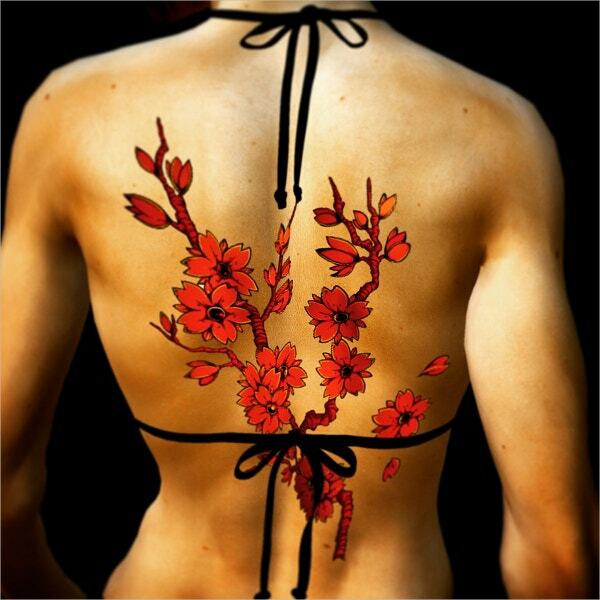 These concepts give you a clear idea of how it might look like on your body part. 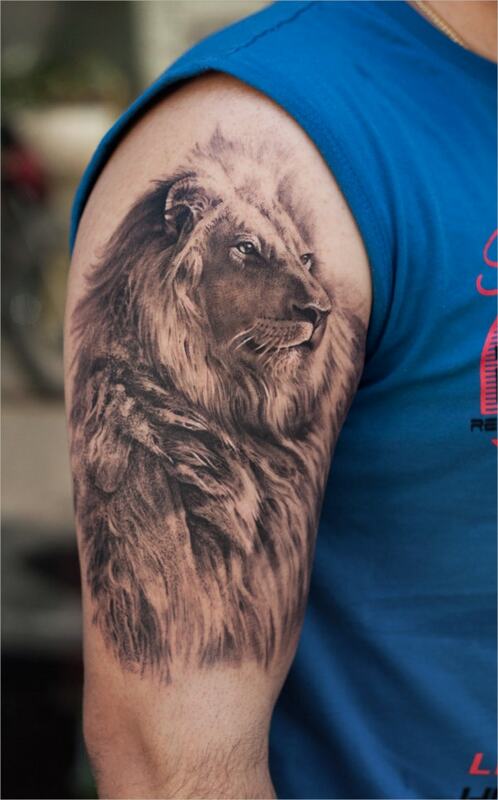 This amazing lion tattoo looks like it really belongs to the person’s arm. It looks majestic, realistic, and a little scary. 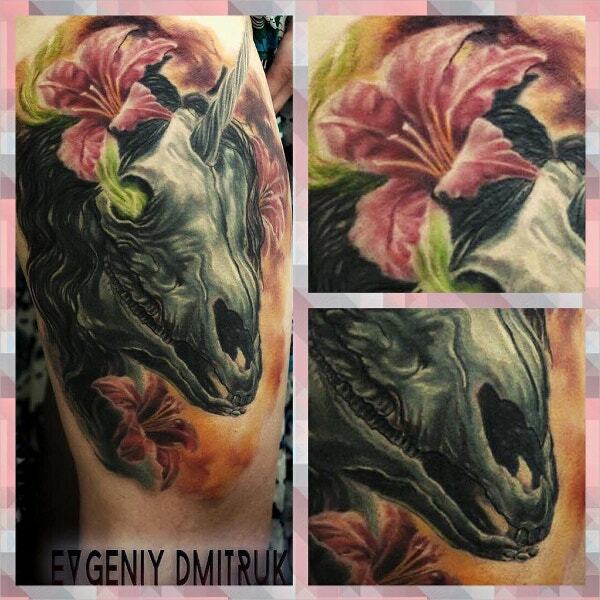 The additional colorful flower detail on this tattoo of a dead unicorn’s skull has made it less terrifying. Who said pink and black don’t go together? Obviously, they go together here. 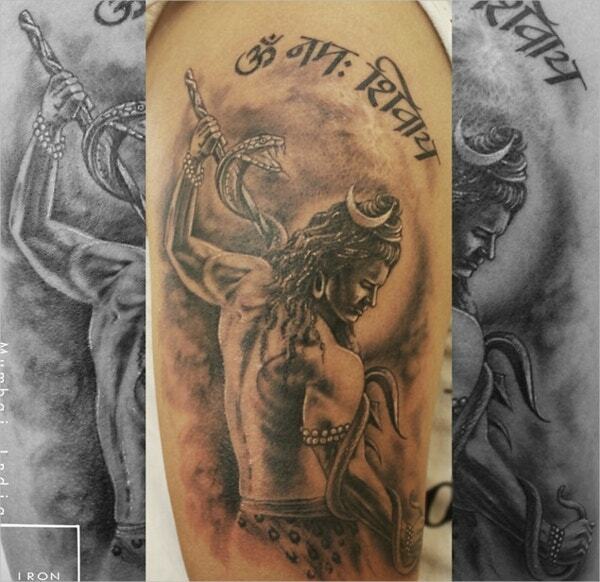 This tattoo of Shiva, the third god in the Hindu triumvirate, looks so fierce and badass. 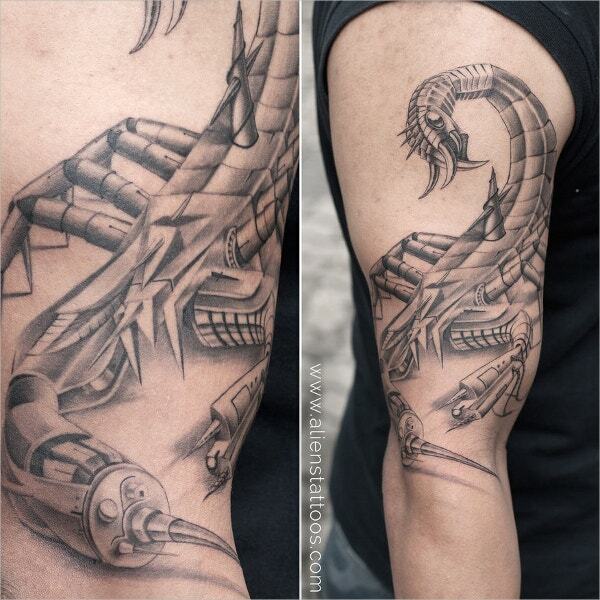 Who wouldn’t want to have a tattoo that is so cool like this! 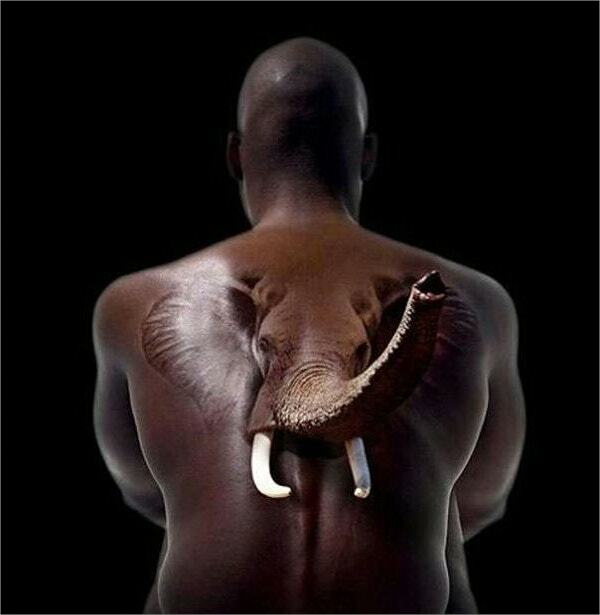 This 3D tattoo design of an elephant with its ivory tusks is a masterpiece. It literally looks like the nose of the elephant will come out of the man’s back. 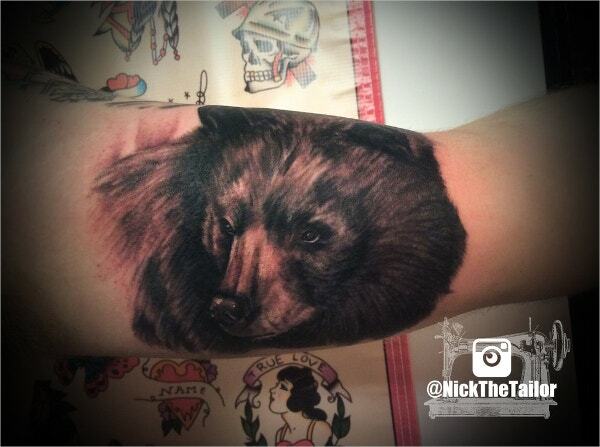 Just look at this bear portrait tattoo and appreciate how much work the artist has put in here. The fur is very detailed; it looks like it’s part of the skin. Tagged as a dark side tattoo, this one looks like it’s about to take you to the dark side. 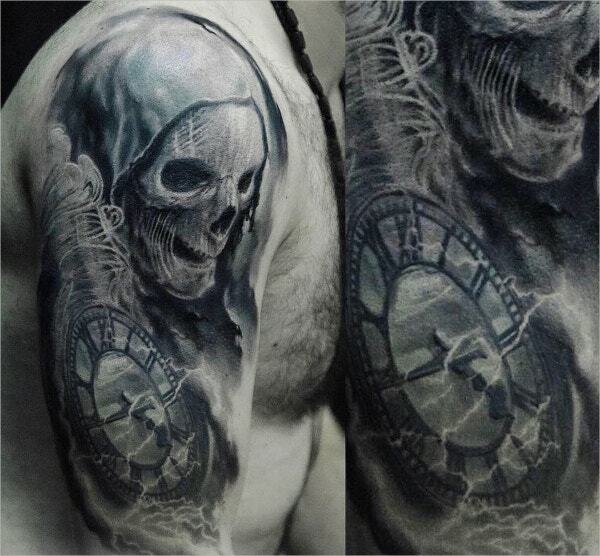 It’s difficult to look away from this surreal tattoo. This one needs you to touch it before you can make sure it’s not real. 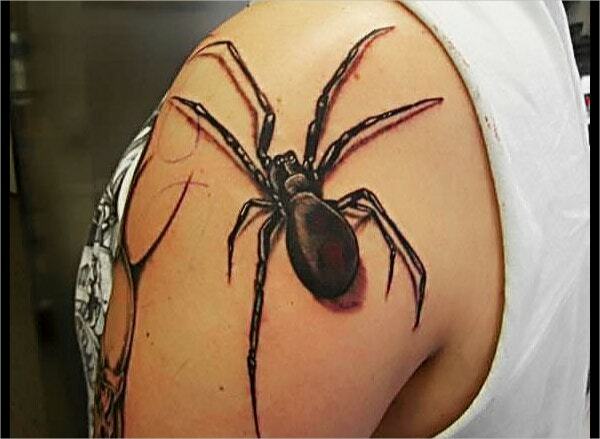 This is just one of the popular 3D spider tattoos that will freak you out. This biochemical scorpion tattoo might be able to sting you like a real one, so you better be careful. Of course, we’re just kidding but look at those amazing details. 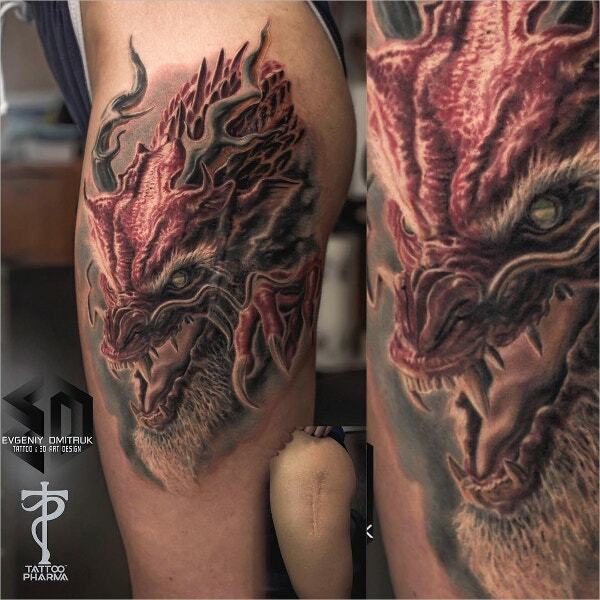 Apparently, this dragon tattoo is covering a vertical scar on the person’s leg. This is so breathtaking that all we can say is the artist did a very good job. 3D tattoos and all other kinds of tattoo designs are such attention grabbers, so you have to make sure that you have the design that you really love. Having a tattoo is also perceived as a lifelong commitment because of its permanence. It demands you to think carefully about it. You can also see Phoenix Tattoo.